This seminar will offer an overview of emerging and expected Generation IV nuclear energy systems focusing on their capabilities in addressing energy needs and global warming challenges in the 21st century while being developed and deployed as sustainable energy solutions with minimized environmental footprint. Nuclear power is a contemporary advanced energy source that carries a substantial potential for our future. This is because there is no green house gas emission from nuclear power plant. It is a very special energy source that humans mastered only recently. There is no need for oxygen to get energy out and there are no greenhouse gas emissions. In this talk, promises, advantages and challenges associated with nuclear energy will be discussed. Technologies themselves, evolution of nuclear energy systems and their impact on our planet will be addressed. Nuclear energy offers opportunities for and seeks collaborations with chemical engineers to jointly address global warming challenges. Speaker: Pavel V. Tsvetkov, Ph.D.
Dr. Tsvetkov is an Associate Professor in the Department of Nuclear Engineering, Texas A&M University. Dr. Tsvetkov’s research program is focused on novel energy systems meeting global growing needs in sustainable resources. The project portfolio since 2005 includes direct energy conversion, waste management efforts to dramatically reduce nuclear waste via irradiations in high temperature reactors and fast spectrum systems, novel reactor designs, dry cask evaluations (loading, dry cask pad studies, longevity), and instrumentation and control efforts to develop control algorithms, novel sensors based on fiberoptics, full scope simulators for security assessments, data analysis and reconstruction for nuclear security applications, nuclear criticality safety. 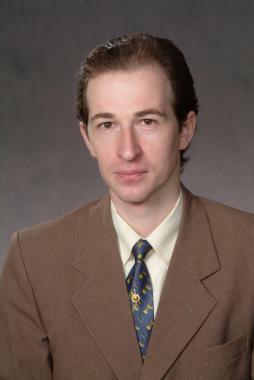 Dr. Tsvetkov is a member of ANS, ASME, ASEE, Alpha Nu Sigma and Phi Kappa Phi. At A&M, he serves as the graduate program advisor for Nuclear Engineering. He served as an editor and major contributor for 11 books on energy, environment and nuclear energy. Dr. Tsvetkov has 2 patents pending on reactor design and energy conversion. He published over 300 manuscripts to peer journals, conference proceedings and reports. Online Registration closes at 4PM the day prior to the event (Wednesdsay April 10th). After this time, you may register at the door.